Photo provided by Lynn Hayter. 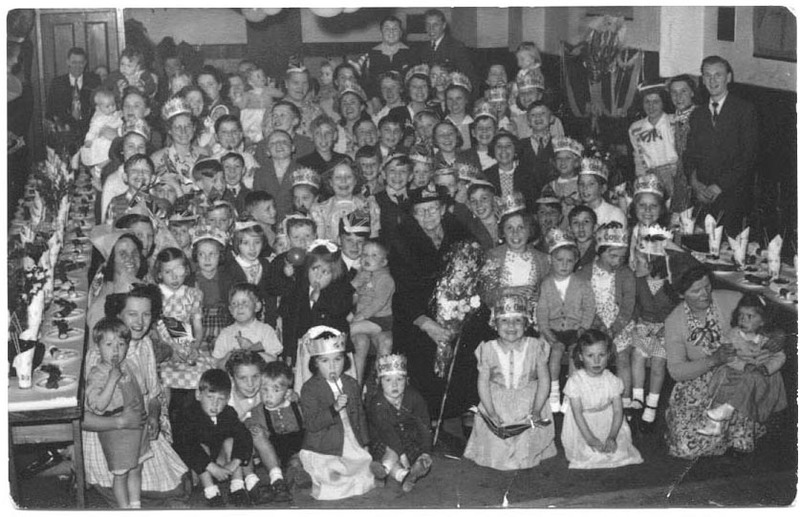 The photo shows North Road celebrations for Queen Elizabeth's coronation in 1953: a well-packed hall, plenty of party hats and tables on either side with the promise of treats to come. Can you recognise anyone in the photo? If so please get in touch. North Road runs off the High Street between numbers 363 and 364.